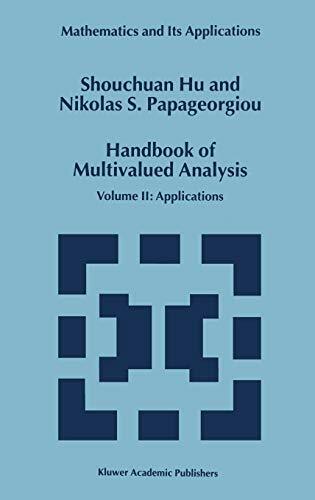 [PDF] Handbook of Multivalued Analysis: Volume II: Applications (Mathematics and Its Applications) | Free eBooks Download - EBOOKEE! Description: This is the second of a two-volume exposition on the theory and applications of set-valued maps. Multivalued analysis is a remarkable mixture of many different fields of mathematics, such as topology, measure theory, nonlinear functional analysis and applied mathematics. This two-volume work provides a comprehensive survey of the general theory and applications of set-valued analysis. No comments for "[PDF] Handbook of Multivalued Analysis: Volume II: Applications (Mathematics and Its Applications)".